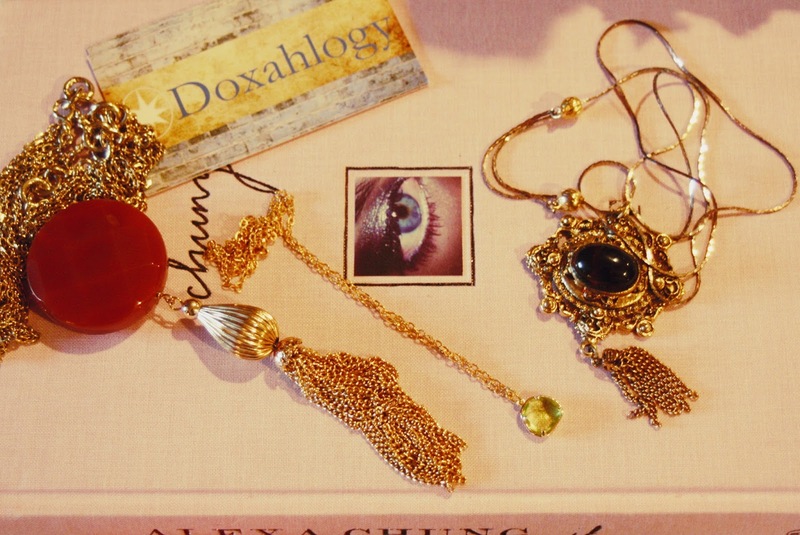 I recently received these three stunning necklaces from Doxahlogy. I fell absolutely in love with the antique feel of each of these pieces. It's often difficult to find jewelry that compliments my ongoing collection of antiques, but the aged color of gold used in these necklaces suit my pieces quite perfectly. Plus, the versatility of these necklaces allows them to be dressed up or dressed down. Stick around to see how I style each of these beautiful necklaces in upcoming outfit posts. Love the one with the black stone! These are pretty. I've never heard of Doxahology, until now. You can choose more unique and fascinating necklaces. Because Statement necklaces are becoming new flow of jewelry items. You can enrich your collection.